On Clearance for just $30.00 a pair plus shipping. Great for cold water paddling, the Anti-Freeze Glove keeps your hands warm without turning your fingers into 4 thumbs. We combine 3 weights of neoprene to build a glove that is warm without sacrificing comfort and dexterity. 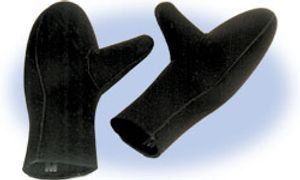 Articulated fingers, Nose wipe, Wrist strap with Velcro closure, 2 mm Micro Plush neoprene . Sizes Small, Medium and XL still available. On Clearance for just $35.00 a pair plus shipping. The warmest next to skin layering shirt from Level Six. Also known as a wetshirt to some, a Neoprene rash guard retains more body heat then Lycra Rash Guards offering warmer thermal protection. 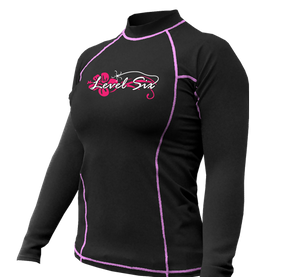 Great for layering under a paddling top in very cold conditions, or as a stand alone thermal shirt for ocean surfing. We have 6 of these left, 2 in each size. Brand new, never used. 15 L... 2 in red. 35 L... 2 in grey. Waterproof Daypacks from JR Gear. Roll Top closure, dual mesh side pockets, large zippered front pocket. Lightweight mesh shoulder straps for ventilation, hip strap and sternum strap. 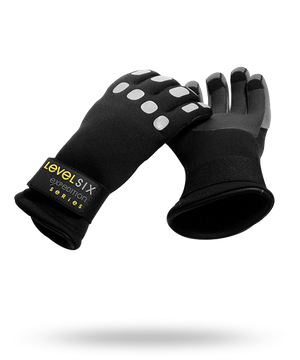 Built of 75D Diamond Ripstop Polyester with fully welded seams for maximum waterproof protection. Excellent waterproof pack for watersports adventures or the all weather commuter. 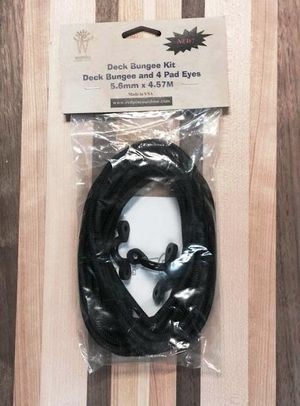 15 feet of premium bungee cord and 4 nylon pad eyes. 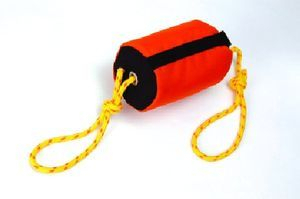 15 metres of strong 1/4-inch floating rope in a compact bag with a drawstring closure. Outfiiter Nylon Touring Sprayskirt from Brooks. 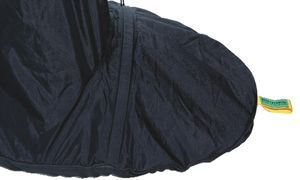 200 denier waterproof nylon with sealed seams. Size 1, 2 and 3... limited quantites only. Email us using the Contact Tab in the upper menu bar and we can let you know if we have one that fits your sea kayak. 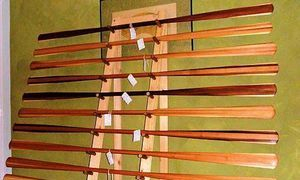 The Radiator is perfect for all types of 4-season paddling where a tough, close fitting, insulating pant is preferred over a looser fitting paddling pant. 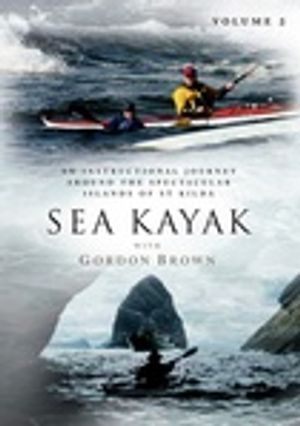 An instructional DVD by one of the top BCU coachs, Gordon Brown, this DVD, over 2 hours long, an instructional journey around the spectacular islands of St. Kilda and covers a wide range of sea kayaking erescues and techniques. One of the best rescue DVD's on the market for the sea kayak enthusiast. 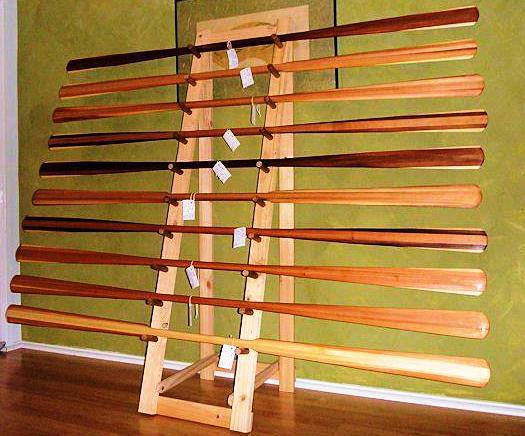 For in stock paddles on sale at discounted prices and ready to ship Click HERE!